In the second part of our Boom Beach tips list, we shall be talking about more advanced strategies in the game. 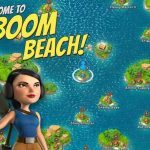 As we said last time, this iOS and Android title has proven to be quite popular and addictive, and if you’ve been playing the game for some time and are looking for new ways to conquer more levels and make the most out of Boom Beach, then this second series of tips will be just right for you. Aside from the upgrades we told you about last time, you should also look toward upgrading your radar as much as possible. This would allow you to get a wider, clearer view of the map. 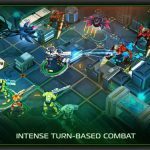 After doing this, you’ll want to try to capture and hold your enemy’s resource bases so that way, you can build on those resources in your home base. We suggest trying this tip out if you just can’t get enough wood, no matter how often you upgrade your Sawmill or carry out other wood-gathering strategies. When your Headquarters is at Level 7, that gives you the option to recruit the Warrior unit. This, as the name of the unit implies, is quite a powerful one, and possibly the unit that could serve as the “X factor” helping you out in tougher battles. Not only do the Warriors have a high attack rating, they can also earn win points back with each attack. There is a catch, however – Warriors only have a low number of hit points. We suggest luring your opponents with some Tank attacks, then deploying your Warriors as you try for a Shock Boom to literally stop your opponents in their tracks. You’ve probably heard of this cheat, and in a nutshell, Simulate Attack allows you to see how a battle would play out, without having to lose any of your men. 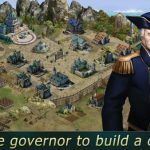 It’s also quite simple to carry out – attack any enemy base you wish, and at the moment battle begins, put your phone on Airplane Mode. 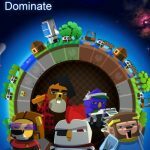 This would terminate your Internet connection and it won’t save the progress of your game, but that’s the very idea of this cheat – you want to try this out from time to time if you’re not confident about certain battles, or if you simply want to plan in advance and tweak your strategies if needed. If your defensive buildings are placed too close to each other, this would make it easier for Battleships to dispose of them with less effort. Yes, they’ll go for your defensive buildings with one rocket attack at a time, but at least you won’t be letting them attempt hitting two birds with one stone. If you place rocket launchers and mortars behind trees, this would keep them well-hidden from enemy troops, and give them more chances to attack before they get neutralized by the enemy.